Please check to see what we are doingand running any specials or discounts. How can a Photograph Make all the difference in the world? If someone is browsing Google and they find your Website their, they will call you based on what they see within your pages. If you show quality content - especially Photographs they will call you. Quality Images make all the difference in the world. Assignments and Headshot's can be photographed in Studio or On-Location. Our studio is equipped with the equipment to handle Products, People and Food Shoots. Going on location we have the gear that will make any assignment look great. Whatever Assignment we have, big or small we offer quality service across the board. We love what we do and enjoy Making Images and delivering fine quality work to our clients. We offer different types of Assignments from Sessions for headshots and Portraits to full and Half Days for Commercial Style Photography. We have Packages available for Lifestyle Photography and Events. We would love to answer whatever questions you have. Please contact us. We have actually had a few projects in the mix over the last month. We have photographed in the studio in New Orleans 12 exe4cutives for major law firm in town for their Corporate Web Site, promotional materials including Newspaper Announcements and their Professional LinkedIn pages. For that we offer retouching and because there were more than 5 Attorneys we offered a discount. We gave 5 workshops this month. 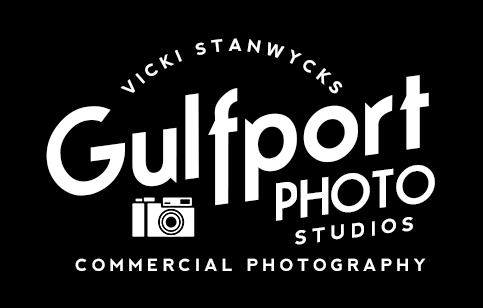 Stanwycks gave 2 in the Gulfport areas shooting some of the High Points of the area including Biloxi and Bay St Louis. It's always very rewarding to be out with folks helping them understand what they are doing, hands on. 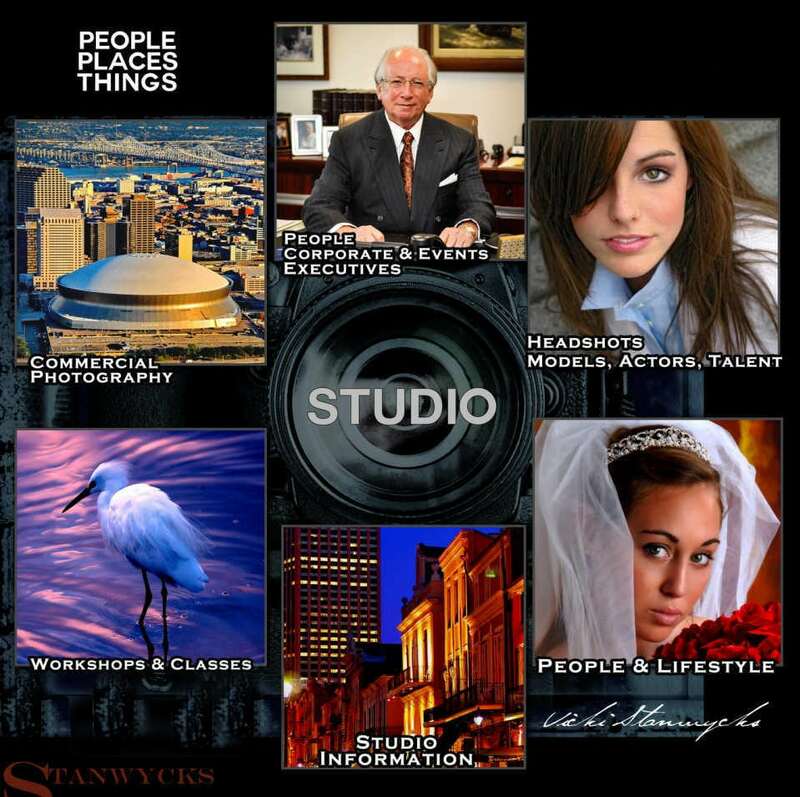 Stanwycks gave 1 Beginners class for a small group in the New Orleans Studio. We did a night Photography Workshop and a Shadow and light workshop one on one to two different clients who have come in from out of town. Stanwycks just did some shots around New Orleans out of a Chopper for a large Real Estate company trying to sell some buildings. "I love shooting out of a chopper. They take the door of the helicopter and you are a part of the sky in those moments. Shooting New Orleans or Gulfport areas is always interesting for me. I have been doing this for 25 years and each time it's just as interesting. Love It! and.. the shots came out great!"